I’ve often thought our middle school years set our preferences. For example, I never lost my middle-school love of music, though I’m glad to say that due to a kind of forced immersion, some of my tastes have changed. As a kid, I liked classical music and tunes that made the Hit Parade, but nothing that featured a guitar. Even as recently as fifteen years ago, when I heard a recording of Bill Monroe’s voice, I wanted to cover my ears and run from the room. 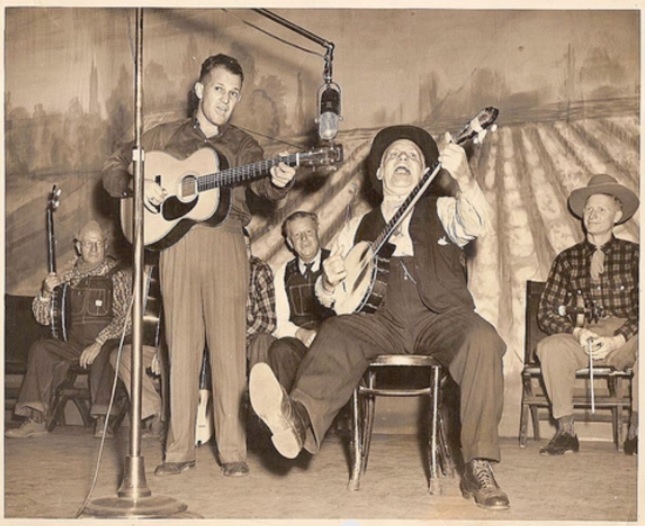 I think it’s true that that if you study something (or hear it all the time, as I had to listen to old-time and bluegrass music when my husband was learning to play mandolin) you may develop an appreciation for it. But the first time you listen, view, or read something different can produce culture shock. If my newest novel, Ridgetop, included a sound track, it would be a background of country and bluegrass music, not just because I like it and because this music is part of the culture of the mountains, but because the story includes musicians and a music festival. One of the old songs referenced is “Way Down the Old Plank Road.” You can listen to an old recording by following the link below. The words are indistinct, but I’ve included them at the end. I’ve read that the plank road in this song refers to a specific road to jail, evidently a bumpy, miserable ride. Starting in the 1800s, plank roads were constructed throughout America over terrain like swamps and deserts, primarily for freight wagons. And maybe to carry men to jail. Uncle Dave Macon playing “old time” music. Previous postRelease day: good luck, baby! Sunday was my courting day, and Monday I got married” — Love it! Great lyrics (and music) – what a wonderful project, Carol. Thank you, Patricia. Those old-timers look like characters, don’t they?